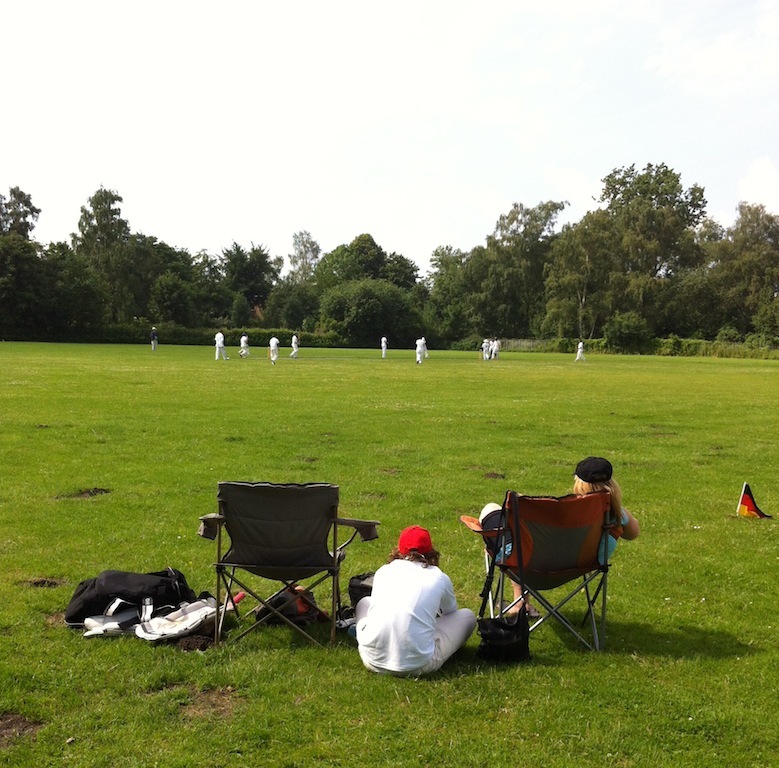 Cricket is not big in Germany, well; even that is probably an overstatement. To say the truth, I expect there are actually plenty of Germans around who have never heard of the game. And if they have, they probably have no understanding or interest in understanding the game. Come to think of it, I often wonder what I see in the game when a match labours on and on with little chance of an outcome and why do I want Stean to continue playing it. But then you get the opportunity to sit and watch and soak up the sun in anticipation for that next wicket or boundary; then I again remember the total relaxation this splendid game provides, and so much more when it is in such an unlikely venue as Bonn, Köln or Hamburg. I do like the game and now living in Köln I found a nice cricketing fraternity where I can enjoy and relax next to the cricket oval. It is mostly at the international schools in the area where a few enthusiasts have taken the responsibility to educate the kids on the finer points of the game and these dedicated guys are doing a sterling job at it too. 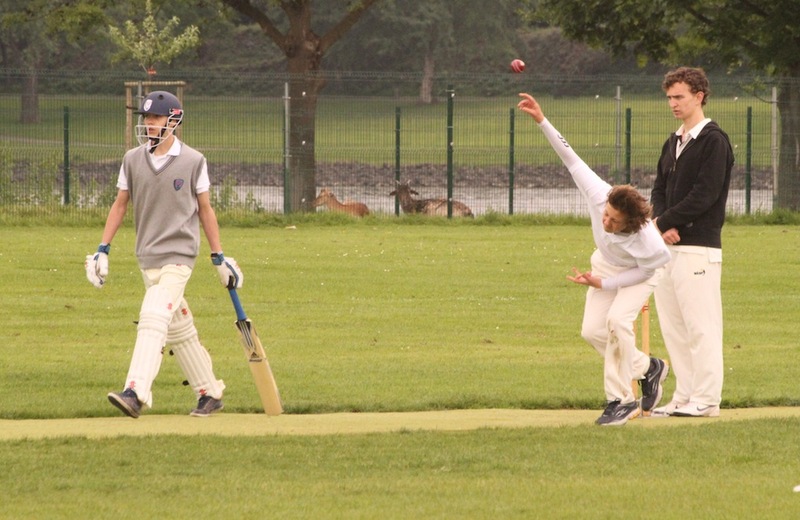 So it happened that Stean was invited a few weeks ago to partake in a cricket tournament at the Bonn International School. He represented his school’s team (St George’s International School, Köln) at the trials and the eventual purpose was to represent his province at an upcoming tournament. Cricket is a summer sport and I’m used to the entire sunhat, sunscreen and cooling down water-spray rigmarole when attending cricket matches. The sun has burnt me worse next to some cricket ovals then at Durban’s beaches! But my first two matches I attended in Germany, both next to the Rhine in Bonn, was much more like attending those mid-winter primary school rugby matches in the Natal Midlands, where you play in the freezing cold early mornings with frost icicles still clinging to the kikuyu leaves, stinging your every tackle and fall while the mist is so thick you cannot see the poles on the other side of the field. Here, even the occasional drizzle of rain was simply tolerated and the matches continued, for it was such a marvellous occasion to have three nearly full cricket teams willing to combat the elements and opponents on the stunning setting next to the Rhine with the hope of making it into the North Rhine Westfalia provincial team. And then the team is announced and my son’s name is read! It was worth the getting wet in the rain, freezing your toes in the cold but surviving on garage-shop coffee and he needs to travel to Hamburg the next weekend for the northern Germany play-offs. Hamburg is just over 400km from Köln and a stunning harbor city, though it’s not located next to the sea. An amazing 45km cruise from the North Sea down the river Elbe navigates those incredibly large container- and other vessels to Hamburg. We arrived late Friday evening, by car, not by container ship that is, and Heleen and I ventured into the Portuguese restaurant area of Hamburg for a late dinner in a lovely little café, enjoying the real Portuguese tapa style platters and cerveza. That clichéd hobby of people watching and observing behavior from a distance is really a favorite of mine, and so much more when it’s the youth with their ‘love life’ attitudes being watched. 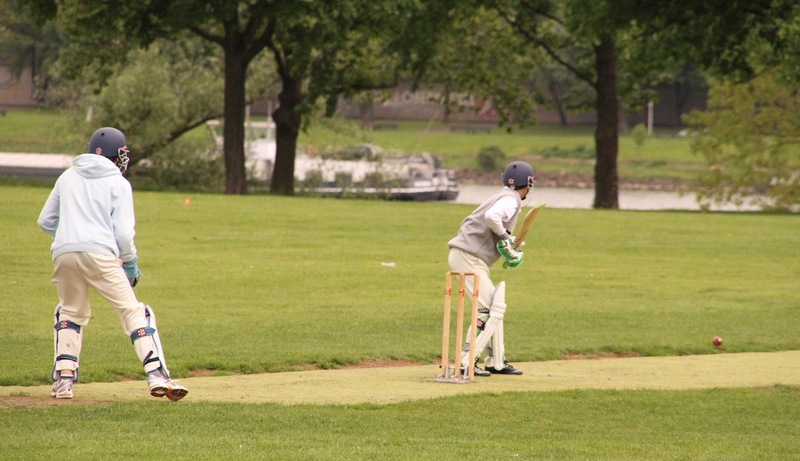 This cricket tournament consisted of three under 18 teams, one from North Rhine Westfalia, one from Hamburg and one all the way from Dresden, which included Berlin (how is that for regionalism? Dresden and Berlin is 200km apart but make up one team for the sake of getting 11 boys together for a game of cricket). The boys arrived, all dressed up as if going to a hip teenage party, and then got dressed in their cricketing whites and played some magnificent cricket in what can be described as South African summer weather. This time around it was true cricketing weather. It was a long day of cricket and the sun was beating down to bless us with bright red knees and arms the next day, but it was good! After the long day in the sun, and the last match of the day, the cricketing whites disappear and voila, those hip teenagers are back, all cool and suave with not a hint that they’ve been running, bowling and sweating the entire day long. Gotta luvit! In my previous blog, The road to Gdansk, I did mention that sport and music makes the world turn. This time, it was cricket, which brought together diversity in Germany, which is worth mentioning. At this great occasion of cricket in Hamburg there were players from South Africa, Australia, Germany, England, Sri Lanka, India, Pakistan and Afghanistan of which I am certain. Furthermore, we were served a true traditional curry and rice for lunch, which did remind me of my early days growing up in Durban, South Africa, where similar spicy, and full of flavor curries were in the order of the day. And such was the enthusiasm that my personal take-out from that day is that we have now become part of a unique little cricket fraternity in the middle of the non-cricketing Germany that will in future present us with many happy hours next to the cricket oval; an exciting prospect. Mark Boucher, allow me this opportunity to convey my sympathy with your injury that ended your career prematurely, even though it already did span more than a magnificent 15 years. Your name will remain in the annals of cricket forever and you personally provided me many happy cricketing moments for many years. May you recover soon.